Bakreswar is a famous pilgrimage destination and is dedicated to Lord Shiva and Goddess Mahismardini. 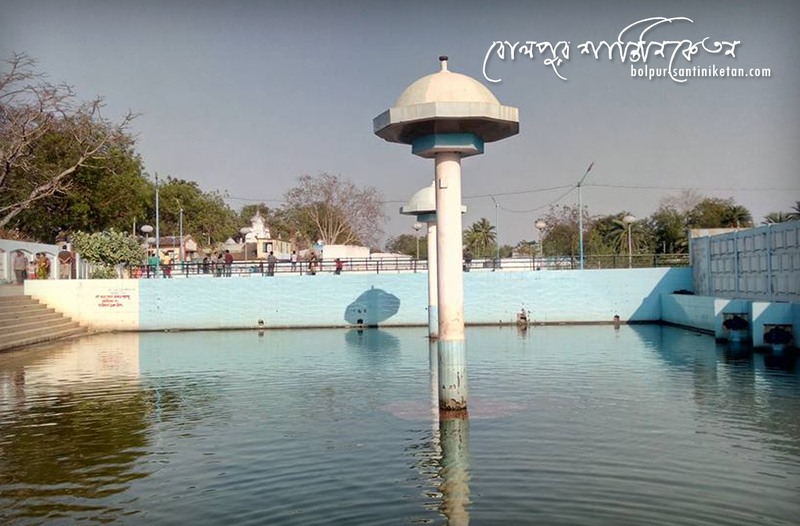 The holy place is situated on the bank of river Bakreswar and river Paaphara. According to the Hindu mythology, two beliefs are found behind the temple bakreswar. Name of the temple came from holy sage Astabakra (One who has eight cripples curved in his body). One is- In the swamber( marriage ceremony) of Goddess Laxmi Subrata Muni was insulted by Debraj Indra and his body was curved into eight folds in anger. To relief from his sin, he was worshipping Lord Shiva at Guptakashi (hidden Varanasi) for ten thousand years. Lord Shiva pleased by his devotion and gave him a holy touch and boon that those who worshipped Astabakra first and himself afterward would be vouchsafed an endless store of blessings. It was known that Biswakarma, the architect of god constructed the temple. Another story was that in Mahabharata Astabakra was the son of sage Kohor. In his mother’s womb, he tried to find his father’s mistakes of vedpatha and cursed by his own father to get an eightfold curved body. Bakreswar is also known as saktipitha of Devi Sati. Here Devi Sati’s mind, the portion between eyebrows fell. Goddess worshipped here as Mahismardini. Along with astabakra linga and bakreswar shiv linga, there are 108 shiv lingas around the place and ten hot springs. Hot springs itself has many religious and scientific significances. The water has best healing power due to rich in minerals. Many of them having the temperature more than 60 degrees. all the springs have its own mythological story. Agni Kund, one of them having a temperature at about 200F. How to reach: Bakreswar is 45 km from Bolpur and 65 Km from Rampurhat by road and approx 230 km from Kolkata. Where to stay: Few local hotels are available. One can stay in Ashrams around the temple also. Best time to visit: Throughout the year visitors can visit the temple and surround but winter is the best time to take bath in hot spring. A big “Mela” is held every year on the day of Shiva Ratri.